I find it amazing how many people seem to believe everything that Arsene Wenger says in his interviews and press conferences. ‘Second is a success’ was a quote greeted by much anger from a lot of Arsenal fans and I just did not understand it. For Arsene Wenger to say second is a success WOULD be amazing IF he meant it. Does Arsene Wenger really look like a man who thinks second is good enough? He has been more agitated then ever recently and that is not because he wants to fight for second place but because he really wants first place. In the press conference after the Bolton game, he was asked if this season has been unsatisfactory and he agreed. Arsene Wenger has ALWAYS protected his players and takes any blame of failure up on himself. By saying second is success is more about protecting the players and trying to remove some pressure. Another quote that came through was about Arsene Wenger not spending this summer. If you actually saw the press conference, Arsene Wenger said a few things. He did say he will not splash the cash but then hinted that there is money there for a big transfer. Personally, I wouldn’t want to splash the cash but buy the right players because I think we all agree we need about three players to complete this squad. I have been to a few press conferences recently and every manager I have seen has lied in their press conference for various reasons. Avram Grant said Scott Parker was facing a late fitness test but another West Ham player came out and let slip 20 minutes later that Scott Parker was out. There was an example from the Harry Redknapp press conference too. It happens all the time and I get amazed at how literally people take things. Didn’t Arsene Wenger say Andrey Arshavin will not be coming to Arsenal but then turned up two weeks later? Speaking to a few people yesterday, I got the feeling people think we have a divine right to win things… We do not. Under Arsene Wenger, we got used to winning things. We perhaps even took it for granted but we do not have that right to win things. 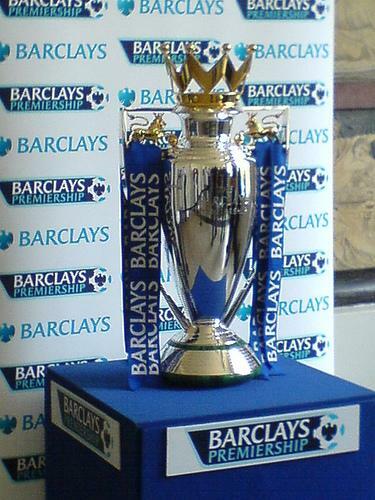 Before the title win in 1989, we last won the league in 1971. We won the FA CUP and the Littlewoods Cup in-between however; it was not exactly trophies galore. The end of the George Graham days were not the best either but when Arsene Wenger came, joining the club in 1996 Arsenal had finished in 5th place in 1995-1996 Season. 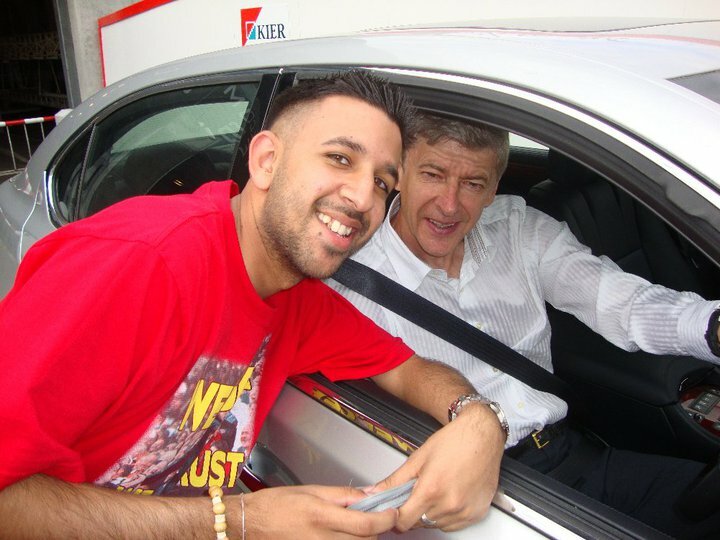 Arsene Wenger joined the club in September 1996 so did not get a full season or a summer or a pre-season. In Arsene Wenger’s first full season, he won the double, then came a whisker away from winning the league on the last day in the 98-99 Season and won the double again in 01-02. He then won the FA Cup in 2003 and went through the whole season unbeaten and won the league in 03-04. He then added the FA Cup in 2005 and took us to our first ever Champions League final in 2006. That period was special, very special and I do not blame people for getting used to it but it doesn’t mean it will always be like that. For that period alone, I feel Arsene Wenger deserves more time. I would never want Arsene Wenger to change his philosophy because I love the way we play football but I would love him to add just that bit of experience which will help us get over the line. The last seven-eight games are always the toughest because that is when the pressure is really on. The first 15 or even 20 games are slightly easier because the pressure is less. That bit of experience and leadership may be the difference in the last seven of eight games. I do not want to go into who I would sell or buy because that is probably best left till the summer but the one name I have mentioned for a while is Scott Parker. I want Parker even more now if Wilshere goes to the under 21s tournament this summer. If Wilshere plays, then he will not have a full pre-season then play the season for Arsenal then play the Euro’s with England then again play another full season for Arsenal. That seems like a lot of football for such a young man. That is why I think a player like Parker will just take the pressure of Wilshere because of the amount of football he will be playing in the next two years. Parker would also provide some proper cover in defensive midfield and add that leadership and experience. I am sure everyone has their own opinions but these are just mine. I could be talking out my arse and everything I have said could be wrong but that is what I think. I am firmly in the Arsene Wenger fan club but I think even he knows he may have to change a few things. He has kept faith with so many of these players and perhaps that faith may just have been lost a little. Arsene Wenger said blame him because he picks the players however, surely the players have to take some blame too? After all, football is a team sport. Have a good week and see some of you Sunday in the Tollington or inside the ground. I must admit, I look forward to these games more then most because of the rivalry between the two teams. After that dramatic last 180th minute or whatever it was, the feeling around the place (Emirates) was quite low. For the first time in ages, I was looking for an argument. I was waiting for one person to say something I disagreed with and I would be on their case; No one did. Why didn't they? Because they felt the exact same as me. The most concerning thing for me was that not many people were surprised we didn't manage to hold a lead with only a minute or so to go. That for me was very worrying. There was no real debate about the penalty nor about the time because we all just saw it coming. In regards for the summer, some work needs to be done for sure but that is for the summer and not for now. I tweeted yesterday that 'Title race of No Title race, We MUST always beat Spurs' and I noticed I got many RTs (I don't tend to get many so I was rather surprised). It was obvious to me that everyone (who follows Arsenal) feels we owe Spurs one after the last two defeats in the Premier League and in this particular game, the title race doesn't actually matter. Off course, winning the game keeps our chance (perhaps slim) of being crowned champions in May but beating Spurs is ever so important to us all. That sense of 'wanting to win' is shared by Spurs too as they are desperate to beat us and that makes the game even more exciting. People often talk about players that do not understand the history and the effect of beating Spurs but I think in Cesc, Robin and Gael (who have been here a while) we have players who have been around long enough to know what it means to the supporters. I think players like Nasri, Szczesny, Sagna and off course Jack Wilshere (more then anyone) also know what it means to beat Spurs. I think the twitter world has helped the case too. Players will see tweets from supporters and will gain more of an insight onto how much it means to beat Spurs from an Arsenal supporters point of view. Beating Spurs is not an option, its a Must and I will never forget how low I felt after the defeat at the Emirates earlier in the season. We must beat Spurs and by doing that we may get some momentum together to finish strongly in the run in. Some would say its a slim chance, but after the last six weeks, any chance will do me! As always, Come on you Arsenal! Lets win at the Lane! Waking up on monday morning to the sound of Stan Kroenke taking over arsenal gave me that element of surprise (specially at 7 am on a Monday Morning). It had been touted the day before, however i was too busy enjoying the three points that i did not spend too long thinking about the ownership battle. After spending much of the day at the Mirror and the evening at the Arsenal Supporters Trust meeting, I must admit I learned a lot on the matter in hand. Mr Kroenke has upped his shares as everyone knows and it seems like Mr Usmanov is not keen to sell his shares. 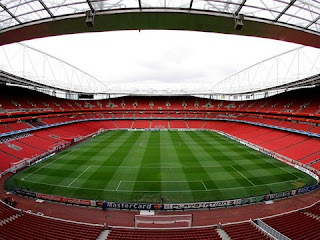 The Arsenal supporters trust DO NOT want to sell their shares and therefore are encouraging members not to sell theirs. If Mr Usmanov does sell his shares to Kroenke then Supporters may be under more pressure to sell their shares. The argument is, Arsenal supporters should get a small say in how the club is run and be involved in the club and shareholders that have worked hard on getting their shares will not want to sell. 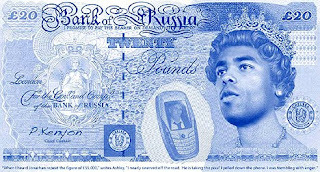 This then means that Mr Usmanov is very important because if he does sell his shares, Supporters may have too as well. I was most interested to know what will happen to the fanshare scheme as I have been apart of it since it was launched. The fanshare in my opinion, is a great way of letting supporters feel involved in the club and eventually can get a proper share. When the fanshare was discussed yesterday i found two things very interesting. One was that Stan Kroenke was in favor of the Fanshare scheme when it was first talked about and Secondly, when Mr Usmanov was asked about the fanshare, he was happy to give a few shares back to the club as long as Mr Kroenke does the same so the % of control stays equal and none of them lose out. My understanding is Mr Kroenke did not say NO but never really said Yes. The AST got shares from another source so it was not followed up but Mr Usmanov was happy to get supporters involved and that for me was a bit of an eye opener. As it turns out, Mr Usmanov practically holds the key to if supporters keep their shares or not. Its only natural that supporters who own a share may have a different opinion to supporters who do not own a share and supporters on the fanshare scheme may also have a different opinion. In my opinion and after attending the AST meeting, I do not think much will change in regards of the running of the club. The only thing that has changed is that Mr Kroenke has more shares in the club then he had before. My opinion on Kroenke is positive as he has been around the club for a few years and seems to understand the values of the cub but i just have that small worry. What if, one or two of his five teams in USA have a turn for the worst and run into some debt, will Arsenal football club be used to pay off that debt? Something may be in the contract that says it cannot but i am always vary of any loop holes and do not want to see Arsenal being used bail out other teams in other sports. It may not happen like that but its a small concern i have (i know i am not the only one that has that concern talking to fellow supporters last night). A few other issues from the AST meeting where that the AST want to ensure supporters who have shares that they do not need to panic sell. If some supporters think its now or never then this is not the case as there will be opportunities to sell shares at a later date if they wish too. The fanshare for example will always be looking to buy shares with the scheme growing and growing. Stan Kroenke has been to three or four games in three years (came out at the meeting). Formal offers will be made to shareholders, they can either accept or reject or just do nothing. John Cross from the daily mirror gave a speech on the relationship between the media and Arsenal and much of that i wrote that in another blog from my own experiences at press conferences. Something else that came out last night was about Robin Van Persie and Abou Diaby's debate at half time in the Blackpool game. I personally do not mind that at all. A few tweeters that i respect said last night that Robin is one to talk (because of what happened in Barcelona ie first yellow) but I am just happy someone said something because i was thinking the same thing. There seems to be a softly softly approach at Arsenal but this is the way i would prefer it to be. As long as Van Persie and Diaby have now kissed and made up (not literally) then i do not see it as a problem. I remember Ray Parlour saying that in his day, players were always rolling about in an argument (mostly Ian Wright!) but it was always forgotten after the event. I was so pleased to see us get the three points and it was much needed! Massive game on Sunday against Liverpool and all we can do is win our games and see what happens. I had a bit of a busy weekend with the Arsenal, the cricket and a family wedding hence no post over the weekend. With Arsenal in the place they are in, i really did not know what to write and just need a day or two to gather my thoughts and enjoy my hero Sachin Tendulkar winning a World Cup. A good pal of mine who himself is a season ticket holder and coaches for Arsenal in the community has wrote a very interesting post which is balanced and something i thought was a fascinating read. you can follow him on twitter on www.twitter.com/aarondote and his a top fella. I remember sitting in the crowd at Stamford Bridge with my blood boiling. Ashley Cole was playing his first game against Arsenal, I left my house that day looking forward to not just going to support The Arsenal, but to shout abuse at a professional footballer. Why was I so angry? Yes, Chelsea are rivals, Title rivals, London rivals, but they are not Spurs. Was it the way he criticized our beloved Arsenal, saying no one spoke English in the dressing room? That the board didn’t appreciate him enough? That he felt let down by the Arsenal fans on the final game at Highbury when they sang Thierry Henry’s name and not his? He said in his autobiography that he ‘almost crashed his car’ when he realised Arsenal had ‘only’ offered him £55,000 a week. That sentence and figure has stuck in Arsenal fans memories, but how would you feel if I told you the same club paid players such as Abou Diaby or Denilson £60,000 a week? Would you start asking questions? I certainly have. If Thierry Henry, after the Invincibles season asked for a specific amount of money would we have given it to him? The answer is Yes. Why didn’t we give Cole the money he wanted, why did we not repay him for the brilliant consistent performances he had given us? The trophies, the glory. We did not appreciate him as much as we should have. Cole, Pires and Henry destroyed teams. Our left hand side was arguably one of the best in football history. His battles with Cristiano Ronaldo for Arsenal and England were incredible, especially in Lisbon in the European Championships, his individual performance made me proud to be English. On reflection, I was objective with myself; I didn’t look at the situation through red coloured glasses. I thought, who is Szczesny to mock him? Who is he to insult a fellow professional publicly? Yes you might still hate him, but the fact is, Ashley Cole is an Invincible, if he didn’t leave in the way he did, his shirt would be outside on the posters around the Emirates. If he were still here, he would be club captain. He played over 150 games for Arsenal, he won two League titles here, two FA Cups and played in the clubs first Champions league final. He is the most capped left back in English history and as a Hale End product, he is regarded as the best left back in football. Next time Woijech Szczesny thinks about publically disrespecting Ashley Cole, maybe he should go and look at his Arsenal medals, then look at his own. 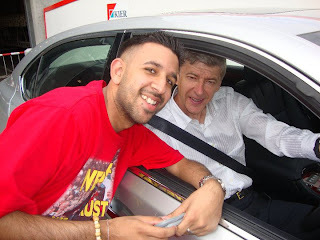 Knowing he was the only player to turn up at the long serving Arsenal media chiefs Amanda Docher’s leaving party, made me think… Maybe its time to forgive? Maybe its time to realize what he did for our football club? Yes Ashley Cole is at fault as well, he said things he shouldn’t have, he left his boyhood club and he didn’t stay loyal. No doubt those things do upset me, but the real reason I was so angry… was because he is so good. Blackburn at home....a game we MUST WIN. The international break came at a good time as we got away from club matters and have got Cesc Fabregas, Theo Walcott and Alex Song fit. On top of that Robin Van Persie's injury was no more then a scare. Ladies and Gentleman, we have a title race if we can get the three points. Defensively there may still be questions but offensively we are as strong as ever. Cesc, Theo, RvP, Nasri, Arshavin, Wilshere, Bendtner, Chamakh etc mean we have plently of options and out scoring opponents is realistic. We must believe, we must be positive and we must support our team. The transfer stuff can wait, the Wenger stuff can wait, Wilshere playing for the under 21s can wait. Right now, only what happens on the pitch is important. We even have Al Pacino on our side!! COME ON YOU GUNNERS! come on!!! Designed by @darktheory. Powered by Blogger.